Hello, Wild Things: look... walls and floors! House tour! I'm going to warn you right now... this isn't the prettiest house at the moment. There are lots of things to do before it's even ready to live in. But I am so ready for the challenge. 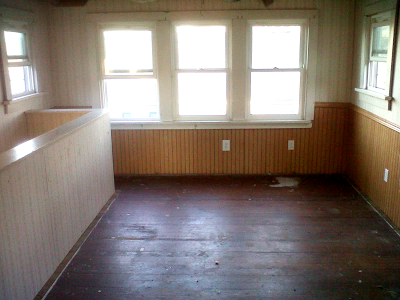 This first picture is the main room. The floors are going to have to be covered up, and it needs new trim, and a few coats of paint. 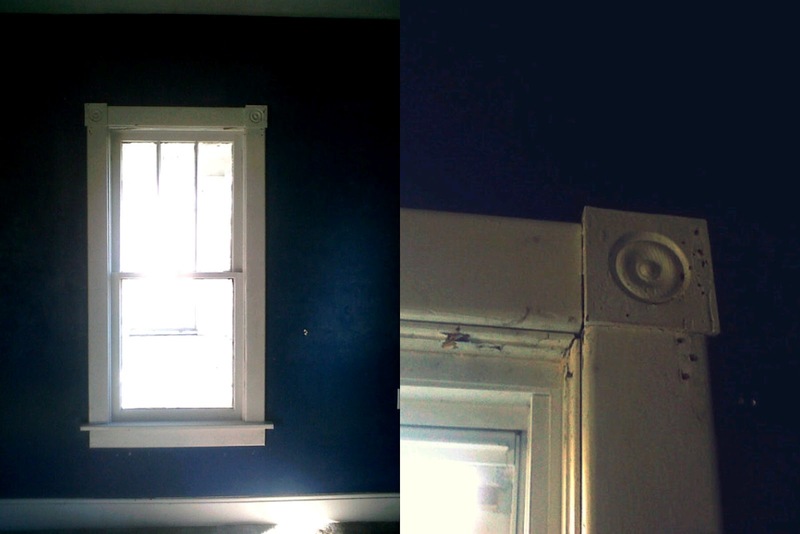 It's got a lot of potential, and two absolutely beautiful windows. This VERY blue room is going to be my bedroom... I think. Right now it's got dark, dirty carpet and dark, dirty paint so it's hard to picture. 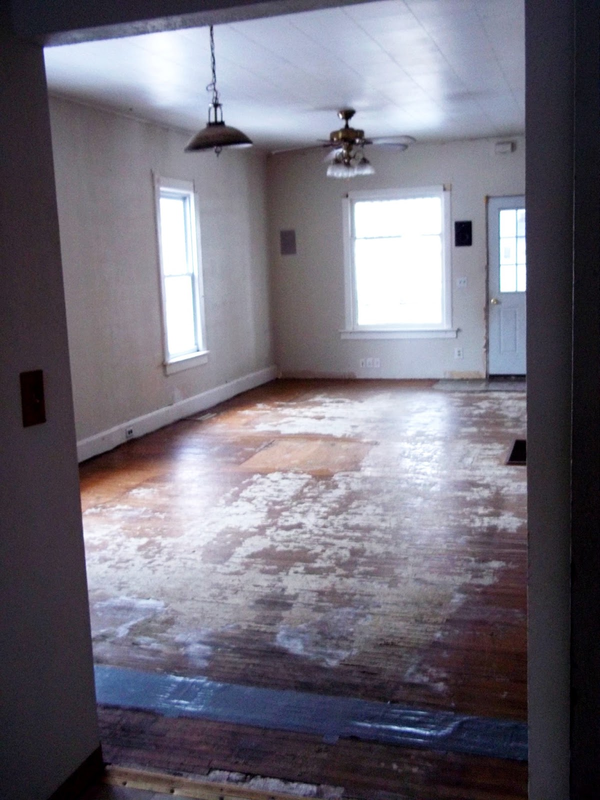 When I get everything painted, and the carpet out, maybe it'll be a different story. For this room I'm thinking white, with a colorful accent wall (which I've got all planned out, thanks to help from a friend). 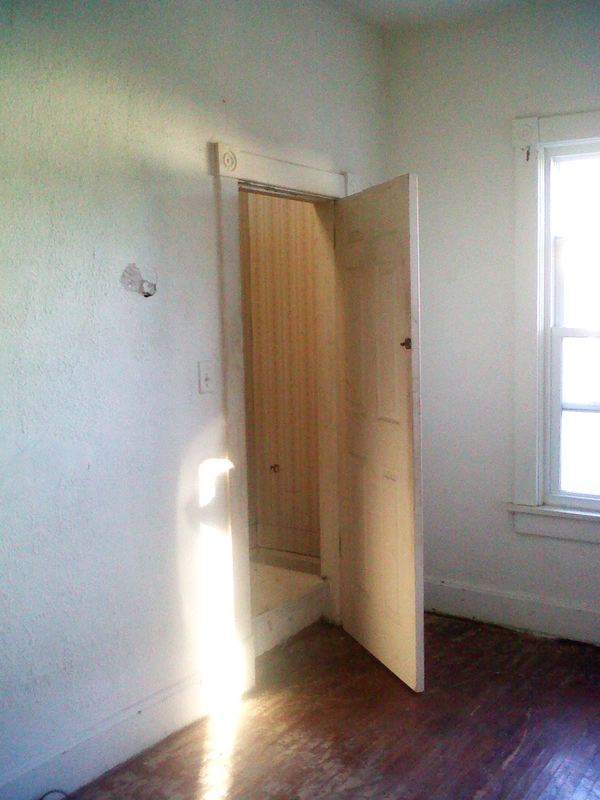 This next room is very bright, and I'm really tempted to put a bookcase in front of that door. Secret passage? Yes, please. 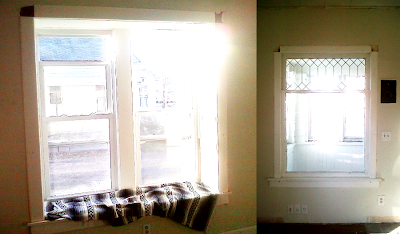 And this is the upstairs, which is going to be my studio eventually. It's got more windows than the rest of the house combined, I swear. But right now it is just a recently vacated squirrel nest... yeah. 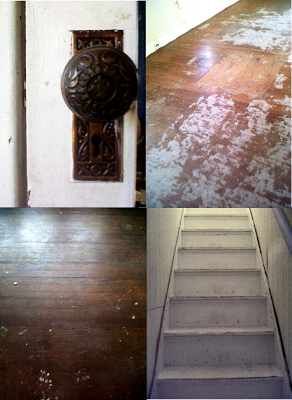 A close up of the floors, and a wonderful doorknob. Sadly, it's the only one like that. 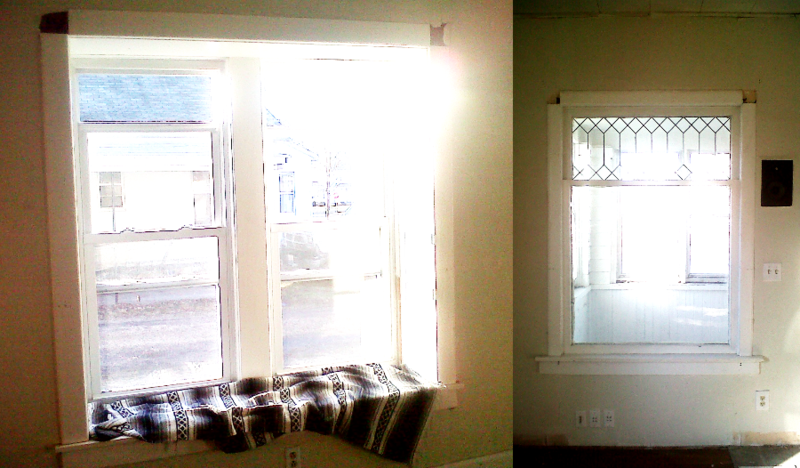 Also, the stairs are leading up to my art studio, so I'm pretty sure they need to be painted bright and colorful. Right? The basement might be my favorite part of the house. I have to admit, it's kinda creepy, with the whole locking from the outside, hand prints on the walls, and the words "help" and "murder" written on the ceilings. 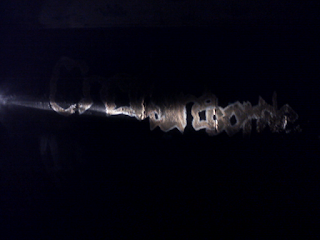 Though, the whole spooky effect is kinda taken away when you realize the ominous words are all painted in powder blue paint... Me and my boyfriend have a theory that it used to be the practice space for a teenage metal band. 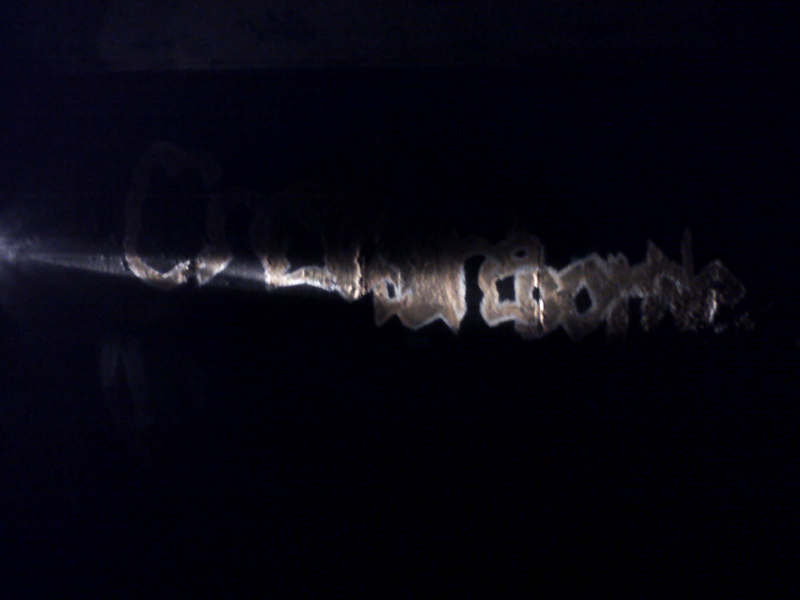 Whoever it was, they painted all over the walls and ceiling, and they were pretty talented. There's no way I'm painting over it til I have to sell it... it adds far too much character. So that's it! I know I didn't show you everything, but I think I covered most of the important parts. Is there anything you like? Anything you'd do to make this the coolest house ever?